Preheat oven to 400 degrees and grease a muffin tin. Prepare batter according to package directions. Pour batter into muffin tins, filling about 2/3 the way full. Bake for 16-18 minutes or until tops are golden. Remove from oven and cool. Using a spoon, scoop out the center of each muffin. Open chili and drain excess liquid out. Pour into a microwave safe bowl and heat until warm. Spoon a little chili into each muffin. Chili and cornbread are a classic comfort-food combo. 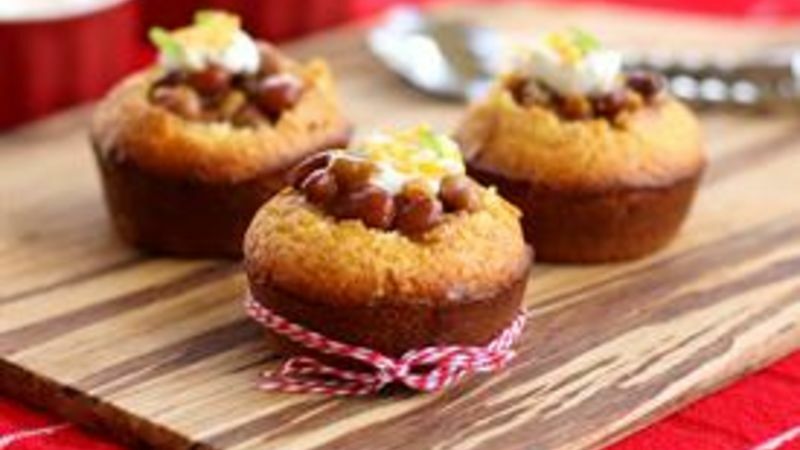 Add a fun twist by stuffing the chili into cornbread muffins -- cute, filling and EASY! Whenever we get a cold front I start diving into all of my comfort foods. Warm chili and cornbread are definitely one of my faves. It's amazing how a little semi-homemade action can wow a crowd. I like to think of myself as efficient in the kitchen; I'm not going to make something from scratch when I can save hours using a mix that tastes just the same. No one has to know. 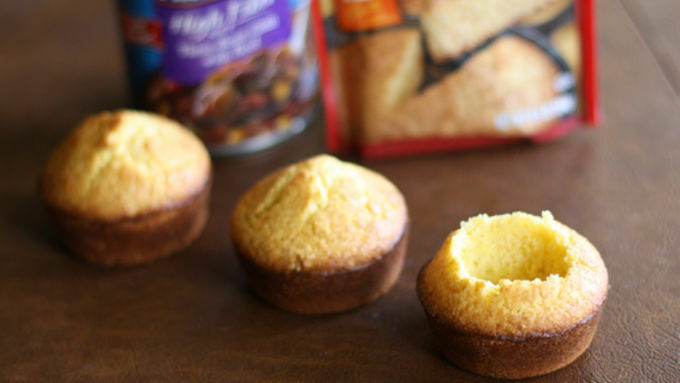 A prime example of semi-homemade goodness is this Chili-Stuffed Cornbread Muffins recipe. 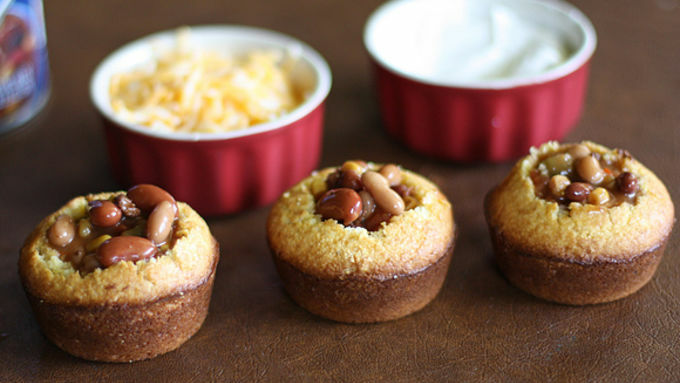 They're warm buttery cornbread muffins hollowed out and filled with Progresso chili. All you need are these two ingredients (gasp!). Since you've saved so much time using a can of chili, you can spend your extra time making a beautiful presentation. Create a toppings bar with cheese, sour cream, onions, and anything else you must have on your chili. Have your guests add their own favorite toppings for a personalized warm appetizer. And there you have it – a super easy, super satisfying meal for fall. And it just took a few minutes!